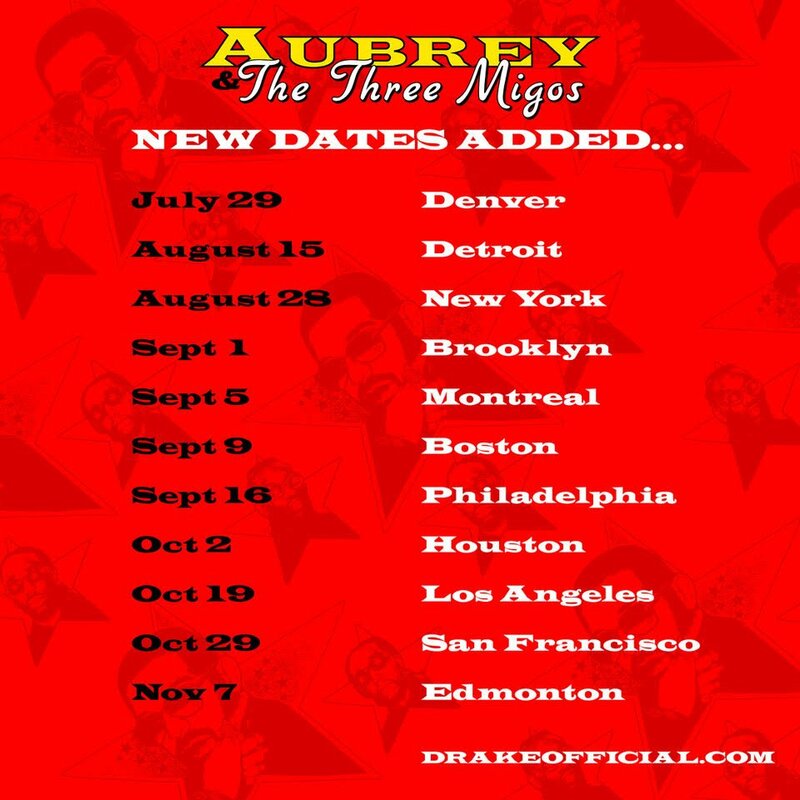 Drake and Migos announced their new joint tour Aubrey & The Three Migos which kicks off July 26 in Salt Lake City. After the buzz from the initial announcement. 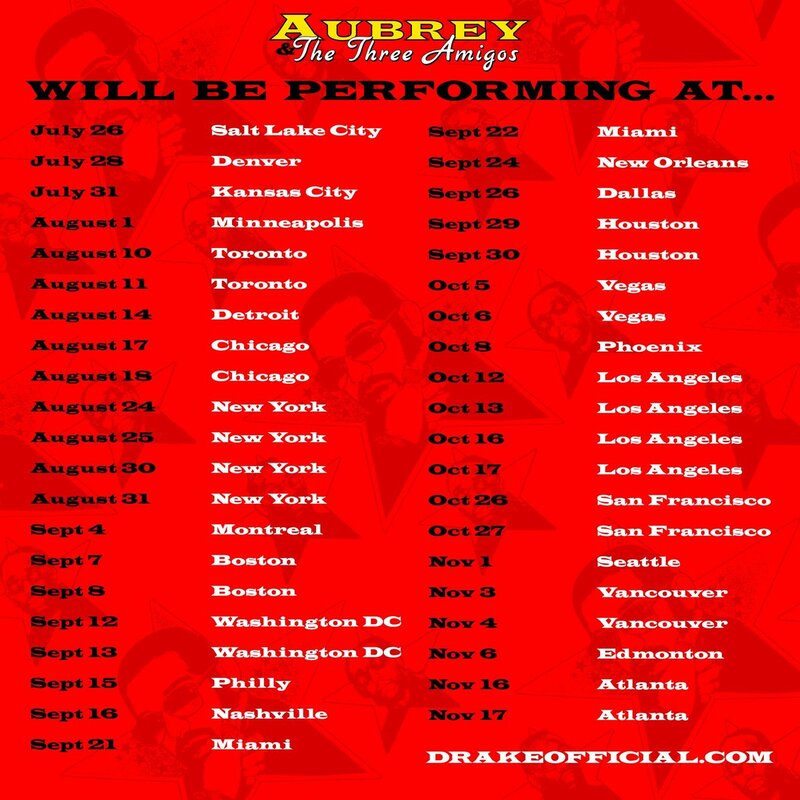 They’ve added 11 more dates including an additional day in Denver on July 29 and Detroit on Aug. 15, Montreal on Sept. 5, Boston on Sept. 9, Philly on Sept. 16, Houston on Oct. 2, L.A. on Oct. 19, San Francisco on Oct. 29 and Edmonton on Nov. 7. You can pick up tickets now on Ticketmaster.com.